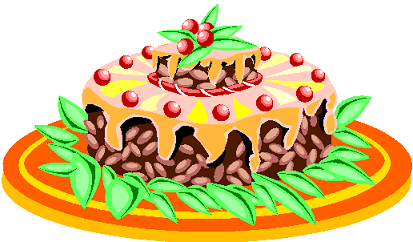 Christmas cake is a dessert traditionally served at Christmas time. 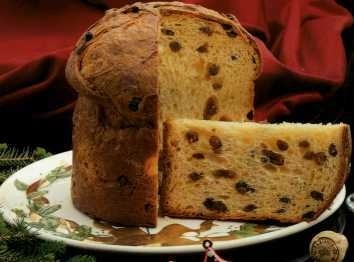 In many countries' traditions, it is some kind a fruitcake, but other details of the recipe vary widely. Christmas cake may thus be light or dark, moist or wet, spongy or heavy, leavened or unleavened, and made in a variety of shapes. In Britain, Ireland and some Commonwealth countries, Christmas cake is especially popular. It is usually a dark fruit cake containing dried fruit, cherries, and nuts (especially walnuts). It may have some alcohol in the recipe, and is usually covered with marzipan and thick white icing. In Japan, a Christmas cake is traditionally eaten on Christmas Eve. Japanese Christmas cake is a sponge cake frosted with whipped cream, and decorated with strawberries, chocolate or seasonal fruit. In the Philippines, are fruitcakes in the British fashion, or rich yellow pound cakes with macerated nuts. Both types are soaked in brandy or rum mixed with a syrup of palm suger and water. These cakes can stay fresh for many months, and are a popular Christmas present. A cake made the one year is sometimes saved for following Easter, or even the next Christmas. In the latter case, the cake symbolizes the union with "Christmases past".